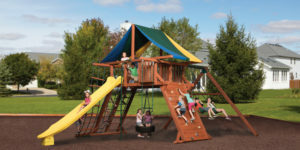 The TITAN PEAK JUMBO has our tallest 7’ high deck with a giant play space. The huge rock wall, longest chain ladder, and spinning tire swivel swing, plus rope climber will keep the kids moving. 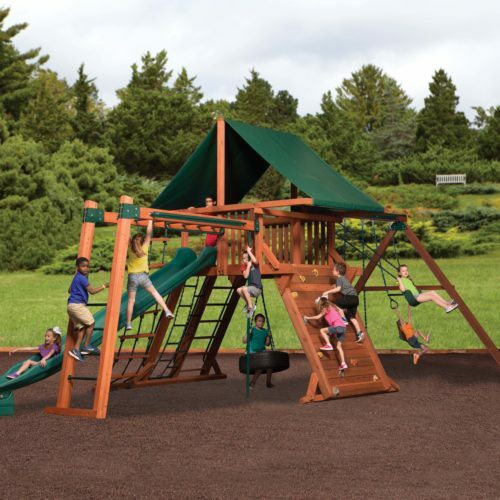 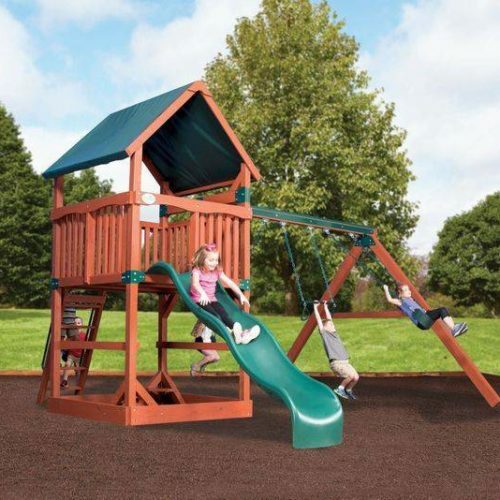 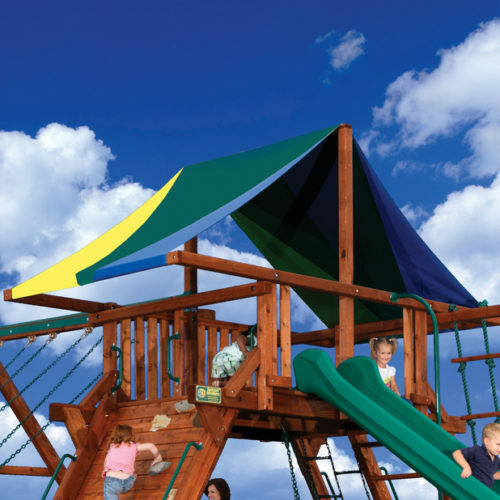 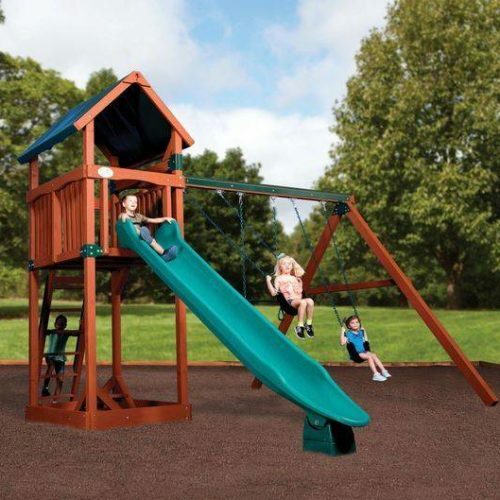 Titan Peak Jumbo 1 has a 14′ long Rocket Slide, and a 10′ high swing beam with belt swings.